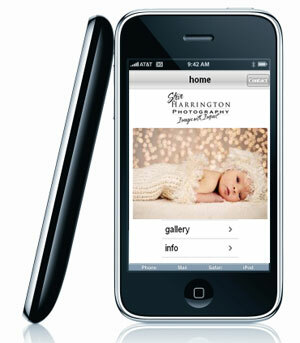 Is your website iPhone friendly? How about iPad, Nexus One and other Google Android phones? 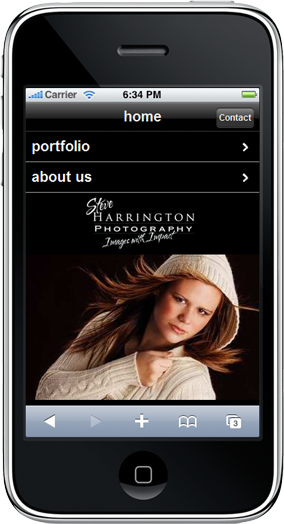 With Deco Mobile software, it's easy to create an iPhone/Android phone compatible website. They are sleek stylish and pretty too! Deco Mobile Sites have clean lines and a sleek style, giving your viewers the look and feel of any standard iPhone/iPad application. The Deco Mobile Editor is easy for anyone to edit website and publish online. You can create and maintain multiple websites easily. You can have an unlimited number of pages for each site. You can even have multiple sites on your server. What are my options with menu? Multi-level menu items can be created. Menu items can be placed at the top or bottom. Can I switch to different themes? Sure. You can freely switch between three themes (Black, White, and iPhone default Blue). Is it easy to edit the text and format? I don't have time with HTML tags. There is a built-in a WYSIWYG HTML editor. It's pretty easy to use. How about the image gallery? For each page, you have the option to add one or more image lists. Your website viewers can use finger to browse images. How many site can I create for each license? For each license, you are allowed to created unlimited websites as long as they are hosted under one domain for one business. Deco Mobile Site Editor can generate website comopatible with iPhone, iPod Touch, iPad and Android phones, such as Google Nexus One. How to integrate my mobile website with my main website? On your main site, if you can add the following script to the header section, and replace the http://decomob.com/mobile/ with your own mobile site address, then people visiting your main site from an iPhone or Android phone will be redirected to your mobile site automatically. This site (http://decomob.com) is created exactly in this way. If it's visited from an iPhone, it will redirect to http://decomob.com/mobile. Deco Mobile Editor cannot be installed on this computer. It requires Mac Leopard/later or Windows XP/later. You are probably viewing this page from a mobile device. If you view it again from a desktop computer, there will be a big "Install Now" button here. Clicking it will start the automatic installation. 1. click the words 'Install Now' on the box to the left. 2. Choose 'Open', the editor will automatically install. 3. To open the editor once installed go to your program file and click on Deco Mobile editor. With Trial version, you cannot save or open your website design. This is lifted once a license code is entered. This software is compatible with Mac Leopard and Snow Leopard, and Windows XP/Vista/7. To publish your website online, you need to have access to a web host server and know how to upload files using an FTP program. If you don't have domain name or host server yet, we highly recommend Blue Host. We use them to host our own websites. Price: USD 79.00 per license. The license allows you to create unlimited websites for one domain and one business. STEP 2. Purchase the software license. We provide tech support via emails. All questions will be responded within 24 hours. Please email us to support@decoimaging.com, or use this contact form. Have a cool idea to improve our services? Interested in forming a partnership? We would love to hear from you! Please email us to info@decoimaging.com, or use this contact form. Fixed the compatibility issue with Android 2.2, so that the DecoMob website works with latest Android phones. Fixed a bug with 'Save As'. With previous version, if a project is saved directly in 'My Document' folder, save it to another folder will cause error. No issues found during beta 4 testing. Just labeled it to the formal release v1.0.0. Fixed a problem so that sub menu item cannot be dragged to root level. Deco | Mobile Site by Deco Imaging.